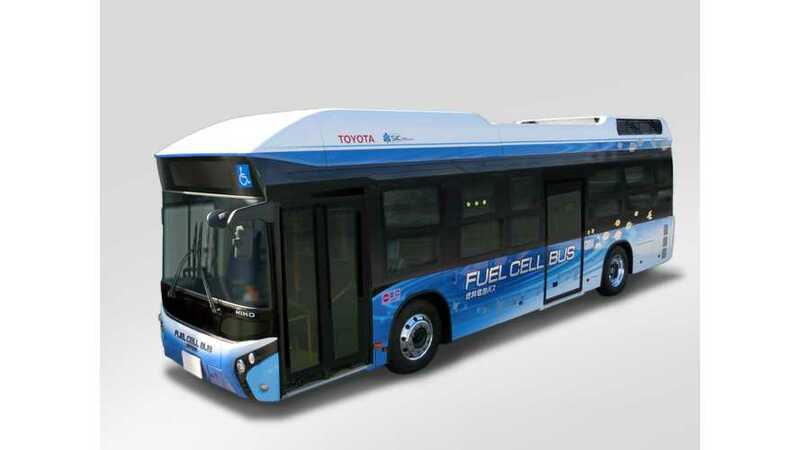 Toyota Motor Corporation, in cooperation with its bus and truck arm Hino Motors, has developed a new hydrogen fuel cell bus. The Toyota FC Bus is based on the Hino hybrid non-step route bus, but equipped with fuel cell systems derived from Toyota's Mirai FCEV. Everything is just scaled up for this larger vehicle. There are two fuel cell stacks (114 kW each) and two synchronous motors (110 kW and 335 Nm each). Hydrogen is stored in eight 70 MPa tanks similar to those from Mirai and there is a NiMH battery pack. The bus can also power homes (or other facilities) during emergencies using CHAdeMO output up to 9.8 kW. On January 9, the Toyota FC Bus entered service on the Toyota Oiden bus route in Toyota City, Japan. "Toyota and Hino will verify the feasibility and effectiveness of the fuel cell bus through testing involving commercial operation on regular routes on public roads and will feed back the results into R&D. 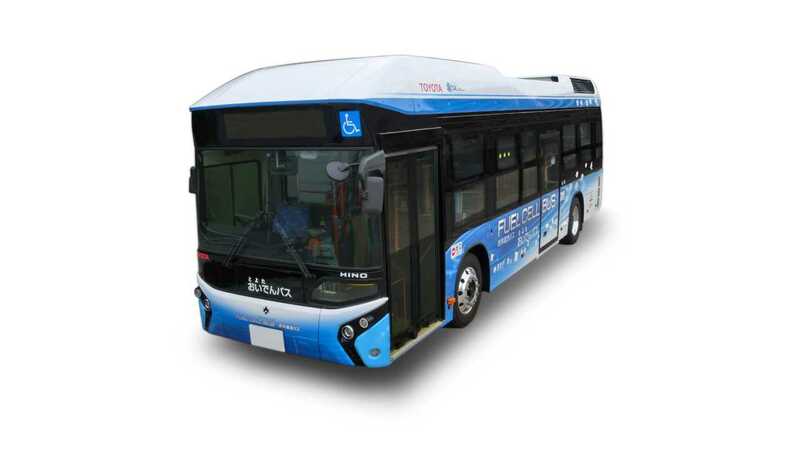 Hydrogen fueling of the bus will be carried out at Toyota Ecoful Town, under a New Energy and Industrial Technology Development Organization project. The verification testing will be conducted with the cooperation of Toyota City as a part of public fuel cell bus road trials and emergency external power supply testing that began in 2010 under the Toyota City Low-Carbon Verification Project, which has been selected as one of the Next-Generation Energy and Social System Demonstration Projects being promoted by the Ministry of Economy, Trade and Industry."